Hilke Faber is an exemplary nurse advocate, and has been throughout her career. From being on the front lines of toucg hospital contract negotiations, to pushing forward the role of the nurse practitioner in the state legislature, to advocating for residents of nursing homes to igniting a passion for political action in her fellow nurses, advocacy is a thread that runs through her career. 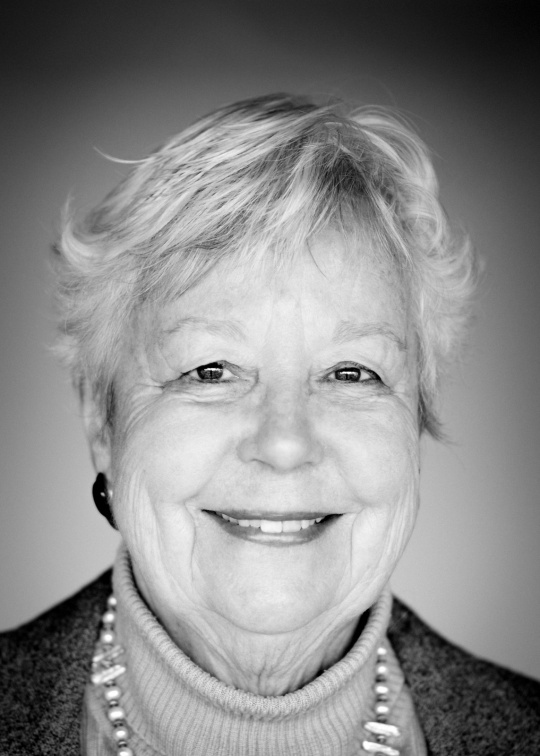 Faber has been an active member of the Washington State Nurses Association since her graduation from the University of Washington School of Nursing in 1965, serving on numerous councils and committees. She has also been actively involved in the King County Nurses Association. As a staff nurse, Faber walked the halls of all hospitals covered under the Seattle Area Hospital Council contract to collect resignation letters from nurses during the 1967-68 contract negotiations. This huge mass resignation effort worked, ending in a new contract with wage increases. Faber assisted with the successful passage of the expanded Washington State Nurse Practice Act in 1973, which included a new definition of nursing and provided for the expanding role of nurses in advanced practice roles. In the face of opposition from the medical and hospital associations, WSNA was able to demonstrate the valuable contributions of the nursing profession to health care and the need for more flexibility in existing nurse practice laws to meet the health care needs of underserved populations. Washington became the first state in the nation to recognize the advanced practice nurse as an “independent” provider. Faber also lobbied for third-party coverage for nursing services and passage of 1975 legislation mandating that all commercial carriers reimburse for nursing services in Washington state. She also was instrumental in obtaining funds from Medicare for nurse practitioner services in rural areas of the state. Faber contributed greatly to continuing education for nurses in Washington. She assisted in development of the WSNA Continuing Education Recognition Program, which was adopted as a voluntary CE program by the WSNA House of Delegates in 1974. This effort led to a Continuing Education Recognition Program for all nurses in the state and passage of legislation in 1978 mandating CNE requirements for re-licensure in nursing practice. Faber brought her considerable experience in continuing education to the role of education program specialist on staff at WSNA from 2004 to 2015. Faber’s many accomplishments speak to her commitment to giving vulnerable populations a voice through policy, advocacy and leadership as a registered nurse. In 1975, she was appointed by Mayor Uhlman to the Seattle Women’s Commission, which advises the Mayor, City Council and city departments. As vice-chair, Faber used her position as a registered nurse to address issues affecting women such as health, housing, homelessness and domestic violence. Much of Faber’s career was devoted to raising the voice of and improving care for those in long-term care facilities. In 1976, Faber became the first appointed Nursing Home Ombudsman for Seattle-King County, a role she filled until 1983. The program Faber developed and directed served over 15,000 nursing home residents, their families and friends. instrumental in gaining passage of the federal law removing chemical and physical restraints from nursing home residents. Faber served on the Board of Directors of the National Citizens Coalition for Nursing Home Reform and on the Long-term care committee in the American Academy of Nursing; she was admitted as a fellow because of her work creating the first Ombudsman Program for Seattle-King County. In 1984, Faber founded the Washington State Nursing Home Resident Councils, a statewide nonprofit membership organization comprised of nursing home resident councils with the goal of bringing the voice of the resident into the state and national public policy debate. She recruited, trained and supported residents from 12 different nursing facilities to serve on the Board of Directors. From 1992 to 2001, Faber was a Health Representative to the AARP West Region, working with regional and state teams of volunteers and staff in five states to develop, implement, coordinate and evaluate health and long-term care consumer education, advocacy and community service projects. In addition to her advocacy on behalf of nurses and long-term care residents, Faber has shared her experience and passion for advocacy by mentoring nurses and helping them get involved. She was an early member of PUNCH, Politically United Nurses for Consumer Health, which was the forerunner of WSNA-PAC, and her advocacy continues to this day. Faber is a trustee of the WSNA-PAC and a member of the Washington Senior Citizens Lobby and the League of Women Voters. She also lectures at the University of Washington School of Nursing.